people don't need old tutorials, only the new things about "GENESIS CHARACTER CREATION"
but still nothing about tutorials "Daz and Genesis & the full design proces"! Because the design process is in zbrush, maya, etc.... you're just morph loading with DS. Those examples you mentioned are light on character creation aspects... just mostly into making INJ files and exporting a V4 mesh. Unless you're spinning dials, you'll be looking at book about zbrush or other tools to learn about modifying mesh, painting, displacement, etc. Those concepts will be needed before you even get to DS. I do not mean to offend but to me this is broken thinking. You don't sit down at a computer with no context as to what the computer can do, is for, how it works or that it even needs to be plugged in. You sit at it to begin your trial and error AFTER gathering information. Intel is vital before engaging the enemy. The more you know, the more you will learn from your trial and error. Someone doesn't have to hold my hand all the way but if someone has done something before I want to emulate, you better be darn sure I will isten to any bits of wisdom they have to share and will use their work to elevate my own. Then I'm confused over your willingness to waste more of it. Shared knowledge is how we learn the basics. Trial and error is how we excel after learning those basics. To me, waiting for any documentation before getting hands on anything is broken thinking. Obviously we are at total ends of learning then since 90+% of my computer learning came from sitting down in front of one and doing, not from reading documentation. Same for learning poser, DS, 3DSMax, etc. Years ago, my first real modeling app was Gmax and when I opened it, the program made no sense to me. I had heard about a book called the Gmax bible, so i ordered one online. Took 3 weeks to get it. In that 3 weeks I figured out most of the basics of what the program could do from just doing and i went from there only opening the book 4 times when i was stumped on something. Many of us make some tutorials here and there to help out with things. But we really are not a school where we can take you through everything step by step. That would be asking way too much from a PA. But there is always Dreamlight for those who want a more full teaching. I cannot comment at all on his courses, because i have not taken any of them...but they are there. And some of our minds are built differently from other minds. There is scientific proof to that. I'm a visual learner, meaning I NEED images or video's for my brain to fully comprehend what information is being offered. There is also a time element to learning in todays world. If there is no documentation there is good chance that learning anything from trial and error sort of learning is going to be so sparse that folks will give up on the process in time. You can not lump all of us into one category when it comes to the learning process. That's simply WRONG in and of itself! I have been a professional illustrator for over 25 years now and one thing I have always done is pour over other artists work to try to figure out their style a bit. That does not mean "copying" their style but what I do is take a little bit of inspiration from other artists works and evolve my own style. When I first started working in watercolor after college I "experimented" with over 1000 well wasted sheets of expensive watercolor paper to define my 'style'. That said I have been using 3D programs like Poser/DAZ Studio, for over 10 years, to create my own reference for paintings (wish I had access to this technology back then). What I do when trying to learn a program or workflow is I sit down and thoroughly go through every menu and tab to see what each one does until I know the program inside and out. I also like video tutorials as I can have one running on my second monitor and follow along. I guess what I am saying is creating art whether 3D or fine art is a creative process that takes time and "practice, practice, practice"! I followed along with Cath's posts on making hair in zbrush and transferring back to DAZ Studio which was very helpful. That does not mean I am going to start selling hair products but tutorials are just a starting point to evolve your own art through patience, practice and hard work. try'll and error is no solution for me! as there are really alot of people that would like to see such tutorials here at the shop! teaching is sometimes much more appreciated to the community, then only sell content. You misunderstand me. I am not waiting on documentation, I am engaging others to produce it if they have the inclination. I am GLAD you learned. I am SORRY you learned the way you did. I am sure it was fraught with trial and error and a lot of wasted time. I too have tread a long, hard road to learn what I know. Wouldn't it have been nicer when YOU were starting out to have a resource of tutorials available to you to teach you how to do the things you want to do? Wouldn't that have saved you time? I KNOW how it has been in the past, and i want improvement. That starts with reaching out to the community. Now I figure we will get some people with old,cratchety "Back in my day we didn't have any damn tutorials AND WE LIKED BASKING IN OUR IGNORANCE hoping to click the right buttons and not lose a nights work in vain." But... is that REALLY the best way? Isn't sharing your knowledge and then receiving it from others the best path to learning along with trial and error. I GUARANTEE you your trial and error sessions will be more fruitful and you will learn better. Intelligence is learning from your mistakes, wisdom is learning from others. I give private and complete classes on skype for new vendors the last years but now to busy with other projects as the time is going so fast lately for me however as promised I will do something from time to time ..
but I believe my artistic background helped me a lot in it also . But today the new people have so much material to follow it is hard to learn everything at once , we started with empty coup so that was more simple way to learn . This is one area where I envy the Poser community. Ask a question on how to do something and they're always willing to explain. Whether its Zbrush, shaders, or a simple "help!! how do I do this" even if its regarding helping you with your product. As for me, I have learned 80% of what I know strictly off youtube and video tutorials. I for one cannot go through 100's of pages trying to understand something. For one, I dislike reading:) I need visual and audio stimulation. Try doing something complex in Zbrush just by reading compared to watching a person showing you and explaining it. I know what route I'll choose. Its way quicker and easier for me to understand when I can see what is happening to the object being modified, listening to what he/she is doing and why, and most importantly watching where the curser goes for various tasks and menus so if I know visually where to go when I am using the app. Its one thing to ask a question(s) about certain steps or a process. Its another thing entirely to ask for an all encompassing tutorial. Your right. By "all encompassing" I meant a large one that entails all steps & processes to go from nothing to finsihed product. Which is the impression I got from the beginning of the thread. Well all I want is one on geografting. Its one of the areas that has been kept in the dark. Its strange actually, you would expect Daz to put decent tutorials on these key features for all to see. What the hell is the point off having all these features in your app and nobody knows how to use it? Do they not want more content developed for their figures/app? EG if you release software and you want developers to create apps for it, you give them a developement kit. In our case, tutorials. Geografting is new, so its no surprise there is limited info on it. However, we need a DS4 manual more then anything. Im sure if we had that, we would have a tut on geografting already. I know on the old forums there was a thread on it. However it is pointless since we cannot see any pics on the old thread. Unless they have solved that issue. If you have Firefox, install a plugin called Greasemonkey. 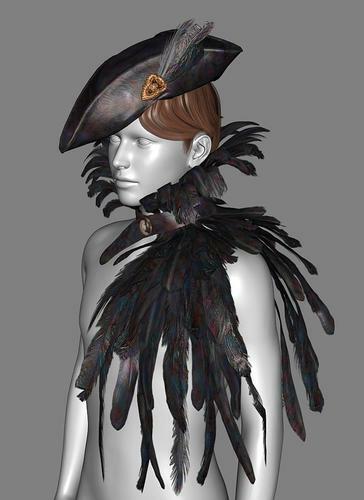 Then go here - http://www.daz3d.com/forums/discussion/4005/ - and get his GM Script. Here is a link to my tutorial on making ANY PP2 or HR2 CONFORM to Genesis! Works great! I would LOVE a copy of that tutorial, Mec4D. RAMWolff, Thanks for that Tut! It is very helpful and easy to follow! Just updated the post above.... Your welcome. Well as a new vendor here, I learned several ways. Much of the information is out there, but its not all in one place or tutorial. Pestering people both here and at rendo - on the whole, if you ask nicely, people are helpful and will often give you the answers you need. When in doubt, pick apart files of products you have purchased, you can examine everything from Topology to how a Pz2s has been edited. WOW... thanks so much SMAY! I got Bad Guy on sale and now I feel I owe you the rest of the money! I wish there was a way to slow down Youtube videos. Does anyone know how to do that? Thanks for recording your work. It is informative! As I mentioned elsewhere, I am working on an advanced rigging tutorial that will include a section on geo-grafting. The Aquatic Genesis product was created largely for the purpose of teaching myself geo-grafting. I ran into a great many snags and unforeseen problems along the way, including one I discovered only after the product had been uploaded and was in testing-- and nobody could figure out what was causing it! Talk about hair-pulling! I finally figured out the cause of the problem, and it was something NOBODY had thought of-- including me. I blundered upon the answer entirely by accident.